With the help of Good Companions, members of the Parish Council have visited a number of villagers to see whether they needed any help as a result of the adverse weather. Those visited had made provision and often had the support of family and friends. However if anybody else requires help, or knows of somebody who does, then North Luffenham Good Neighbour Scheme can be contacted (8 am to 8 pm) on 07825 697841, and the scheme will endeavour to help. This entry was posted in Good Neighbour Scheme on March 2, 2018 by Tim Smith. AGM for North Luffenham Good Neighbour Scheme. 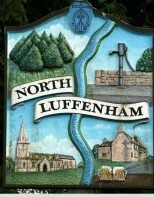 The AGM for the North Luffenham Good Neighbour Scheme will be held on Friday 27th October, 7pm, at The Fox. If you are interested to know more about the scheme, or perhaps thinking of volunteering, then you would be most welcome. This entry was posted in Good Neighbour Scheme on October 24, 2017 by Tim Smith. North Luffenham Good Neighbour Scheme AGM. When: Thursday 20th October 2016 at 7.00 pm. Where: Upstairs Room at The Fox. Who: Volunteers and all those interested. The second AGM of the North Luffenham Good Neighbour Scheme will take place as above. The Committee would like to invite all the volunteers and anybody interested in just knowing more about the scheme or perhaps thinking of helping the scheme in some capacity. The Committee would like to thank Jason, landlord of The Fox, for the use of the upstairs room. This entry was posted in Good Neighbour Scheme on October 12, 2016 by Tim Smith. All welcome whether a volunteer, thinking of volunteering or interested in finding out more about the scheme. This entry was posted in Good Neighbour Scheme on September 22, 2015 by Tim Smith. It really doesn’t seem possible, but it is exactly a year since Tim Smith and I popped our heads over the parapet and offered to try to set up a Good Neighbour Scheme for North Luffenham. In the past year the scheme has been established, reviewed and developed. In operation it has proved itself to be a much-needed asset to a small isolated village. However, there is still much more that can be done to further develop and hone the scheme to ensure that it can achieve its full potential. 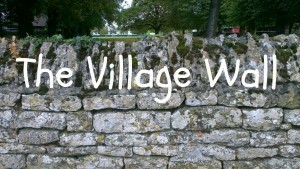 I know that some volunteers will have been frustrated by the lack of ‘tasks’ that have come your way and it has taken longer than we expected for the scheme to become a trusted and established part of the village fabric. It is therefore time for us to have a good look at what is right/wrong and how the scheme might be improved. When we started the scheme we agreed to take stock after a year and to allow our ‘Members’ (Volunteers and Users) to have a say in who they would like to manage the scheme and to propose new thoughts and ideas for its evolution. To this end we will hold an Annual General Meeting in the Community Centre at 7.30pm on Wed 23 Sep 15. I hope that you will be able to join us. I attach a draft Agenda for the meeting – if you have further points that you would wish to include do please let me know. I have decided that having helped to get the scheme off the ground, it is time for someone else to take over as Chairman, this will also avoid any potential conflict of interest in my appointment as Chair of the Parish Council. I will of course remain a volunteer. May I take this opportunity to thank you all for your support and encouragement. This entry was posted in Good Neighbour Scheme on September 8, 2015 by Paul Cummings. Come and find about the North Luffenham Good Neighbour Scheme: The Fox Friday 1st May 4.30 – 5.30 Light refreshments will be available and from 5.30, should you want to, you can join in the first ‘Fox Beer Festival’. This entry was posted in Good Neighbour Scheme on May 1, 2015 by North Luffenham. The North Luffenham Good Neighbour Scheme is ‘active’ from Monday 19th January and if you need a helping hand, which is not an emergency, then ring 07825 697841 (8am to 8pm). We will do our best to reply straight away but if we are unable to than a message can be left, and we will return the call as soon as possible. This entry was posted in Good Neighbour Scheme on January 14, 2015 by Tim Smith. For those who have already volunteered there will be time for discussion but anyone who is interested is welcome. This entry was posted in Good Neighbour Scheme on November 23, 2014 by Tim Smith. The North Luffenham Good Neighbour Scheme will be operative in the near future. What is a Good Neighbour Scheme? : The following attachments Scheme Outline and Good Neighbour Scheme Leaflet explain the purpose of the scheme and how it functions. If you are interested in volunteering for the scheme, or wish to know more, than please contact us. This entry was posted in Good Neighbour Scheme on November 18, 2014 by Tim Smith.